Home » Honoring a friend! 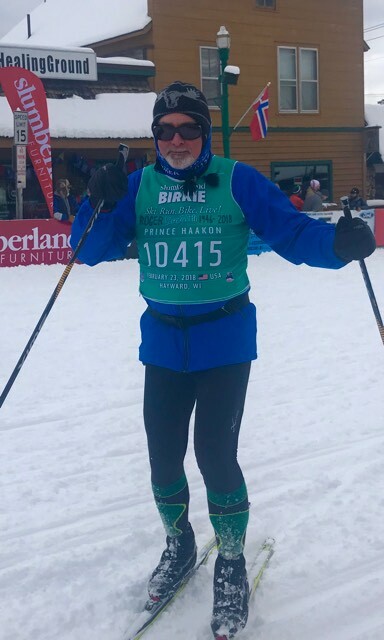 Cumberland resident Mike Clay celebrates at the end of this year’s Birkie. Mike is wearing the late Roger Wistrcill’s bib. He sprinkled Roger’s ashes at the top of the final hill before the end of the race, where they always rejoiced because they knew they’d made it!